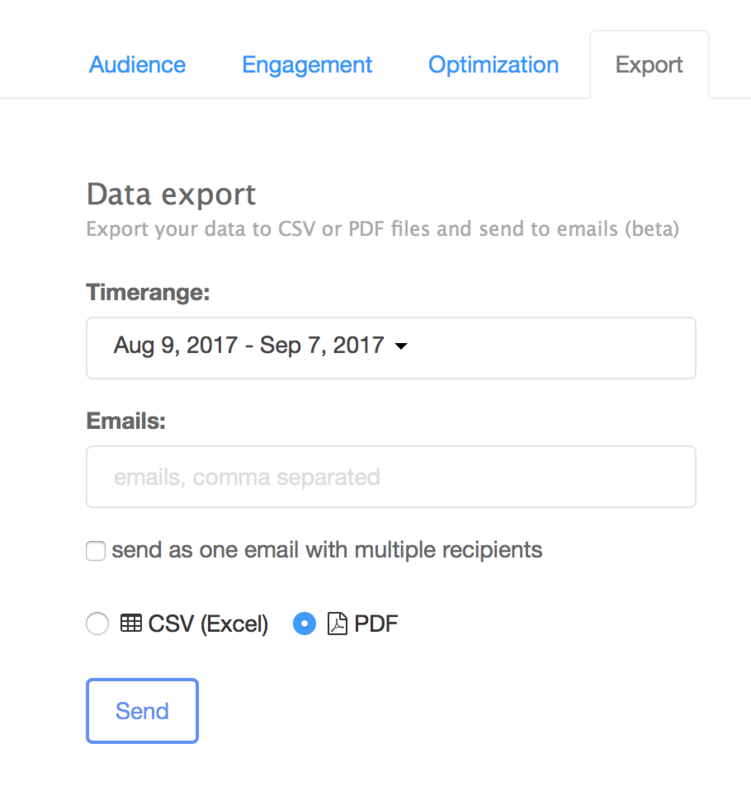 Recently we launched PDF export. 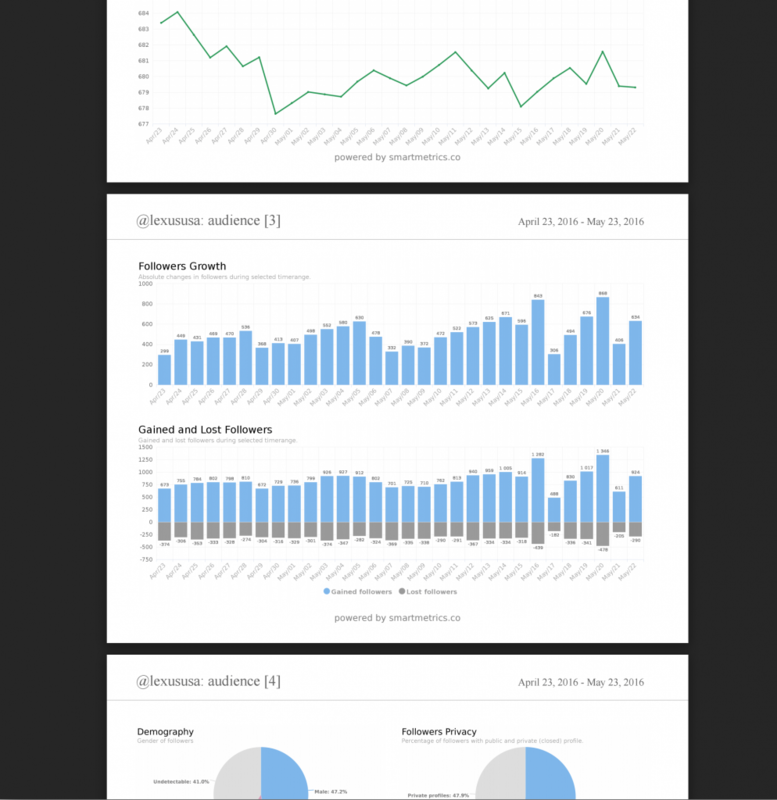 Now you can export analytics data for Instagram account or Hashtag to PDF (completely optimised for print). PDF export is white-labled, it means you can change copyright “powered by smartmetrics.co” to anything what you want, e.g “Made by MyAgency”. Check out PDF examples for account and hashtag. By the way, you can generate PDF reports and send to your customers right from our online app. 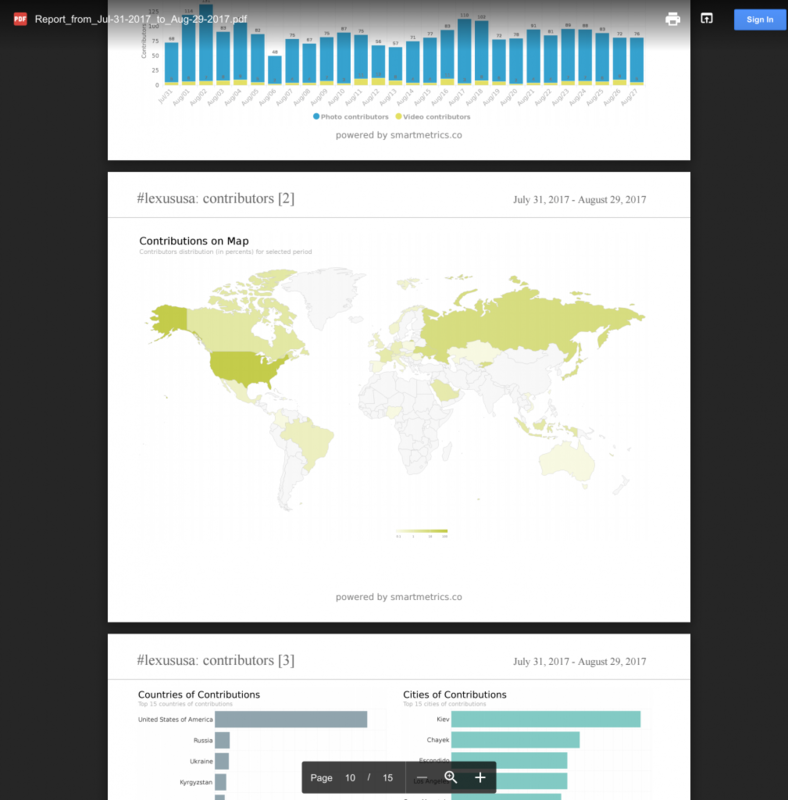 NextNext post: Share your Instagram Analytics Reports!